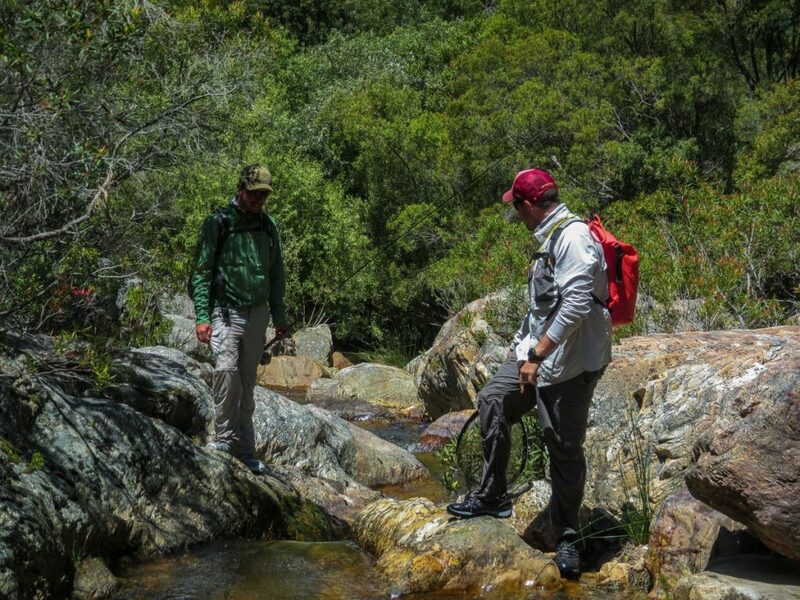 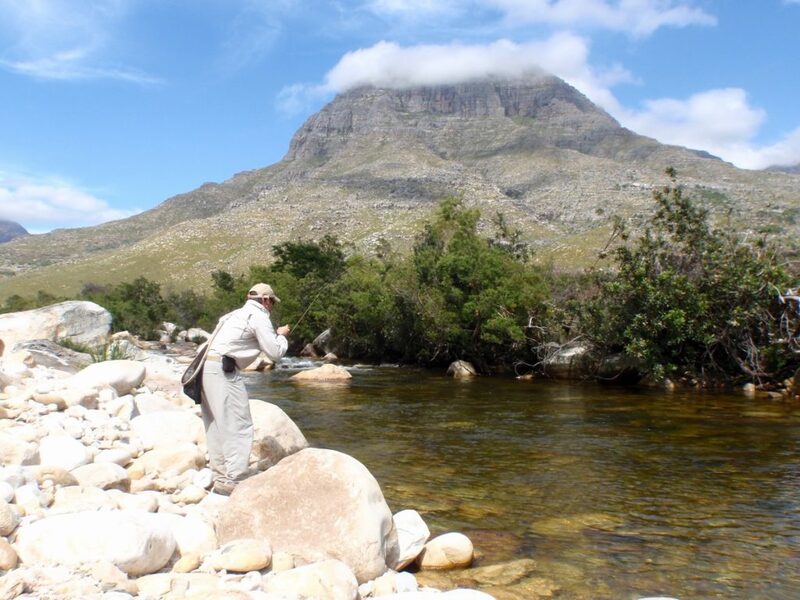 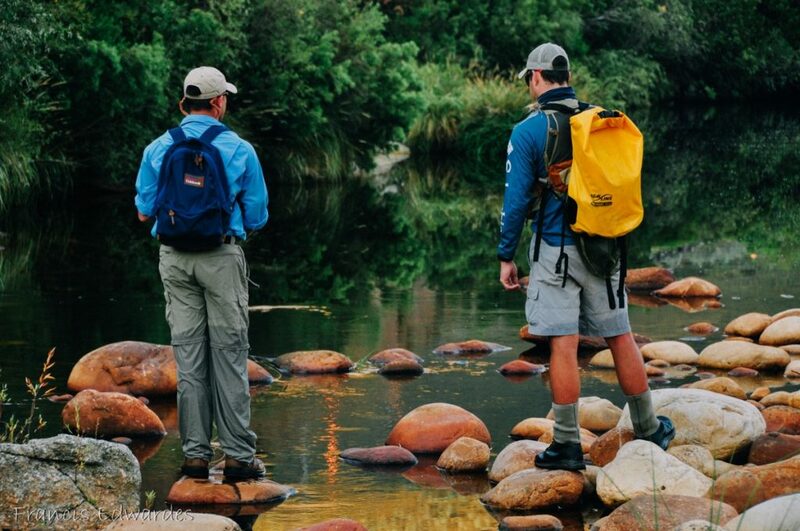 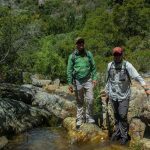 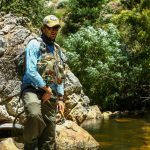 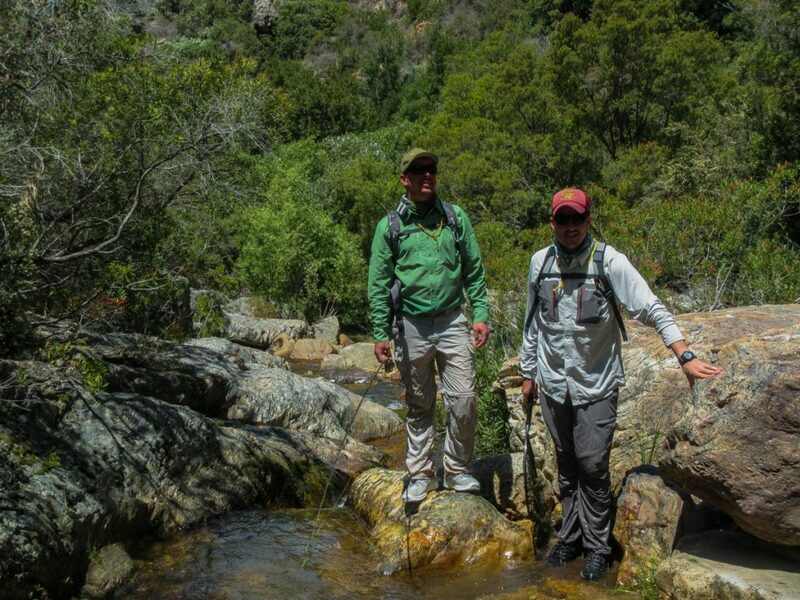 The Sandstone Du Toits Kloof mountains that tower over the Elandspad and Smalblaar rivers were the chosen locations where early pioneers introduced trout to the western cape in the 1880’s since then limited stocking activities have kept the fish wild making them a worthy adversary at times! 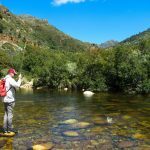 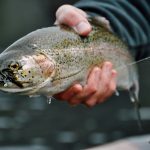 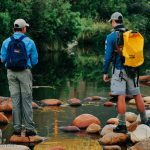 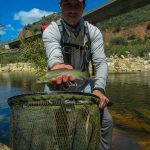 Only a 1-hour drive from the Waterfront in Cape Town lies one of South Africa’s premier dry fly fisheries for wild trout. 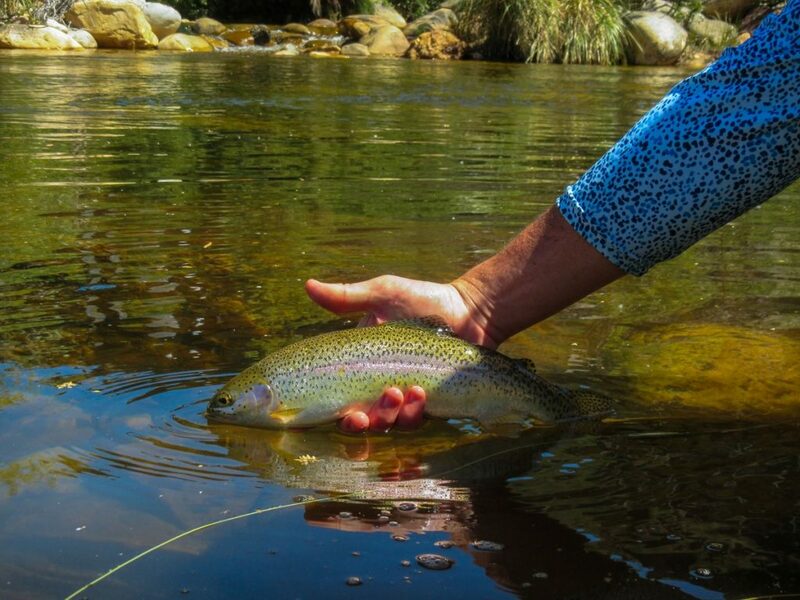 Clear, cool water and free rising rainbows and the occasional brown make for an exceptional experience. 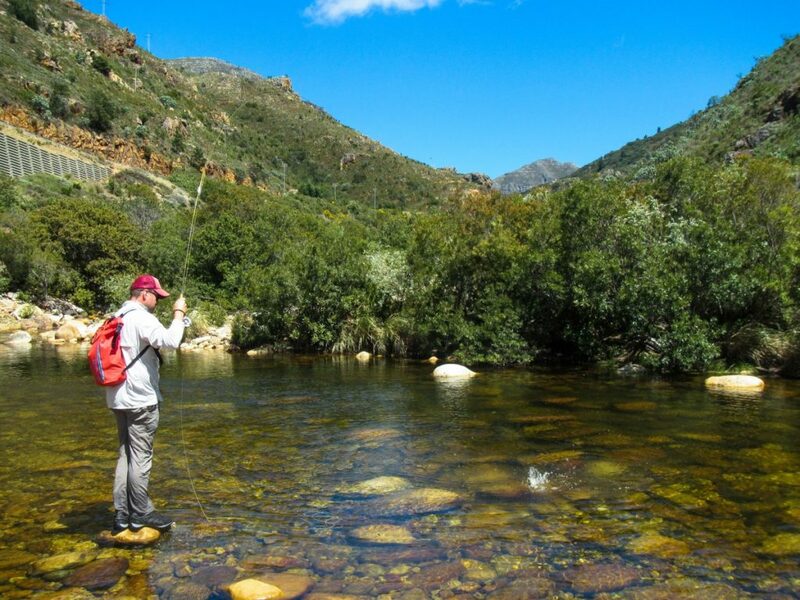 A typical day on the Cape Streams; Beats will be pre-booked by your local guide whose knowledge will ensure that you fish the best beat available. 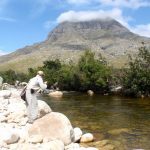 Pick up depending on the time of year but can range from 06h00 to 08h00. 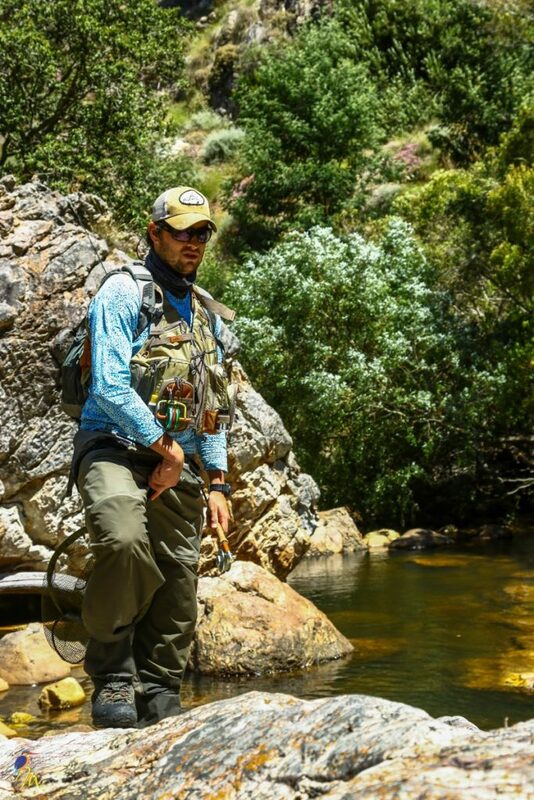 A quick coffee and something small to eat on the way. 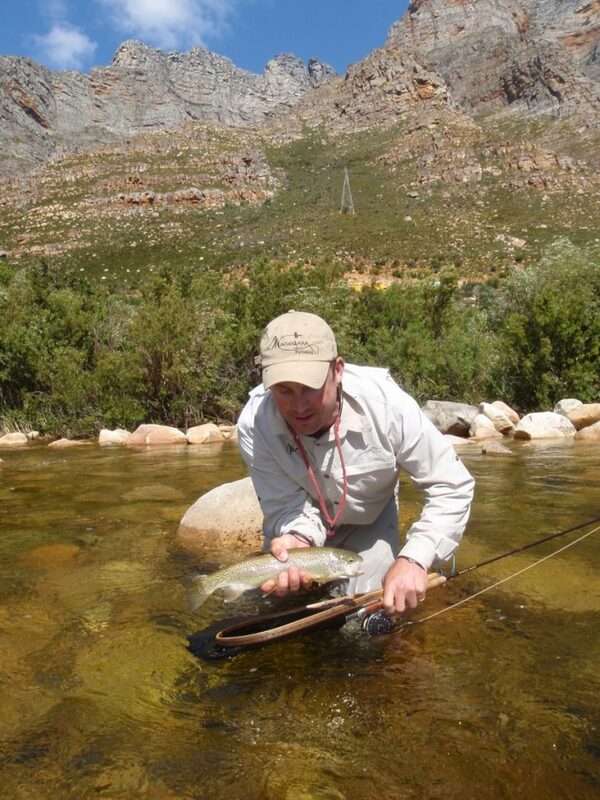 Fish until late morning/midday, enjoy a light lunch on the river followed by a brief siesta! 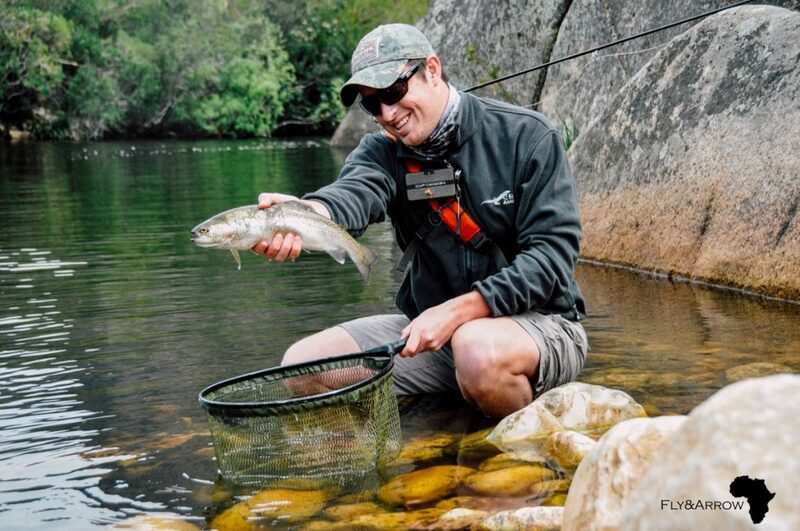 Fish the remainder of the beat/s in the afternoon, head back to the vehicle for a beer/gin and tonic before the drive back to your accommodation. 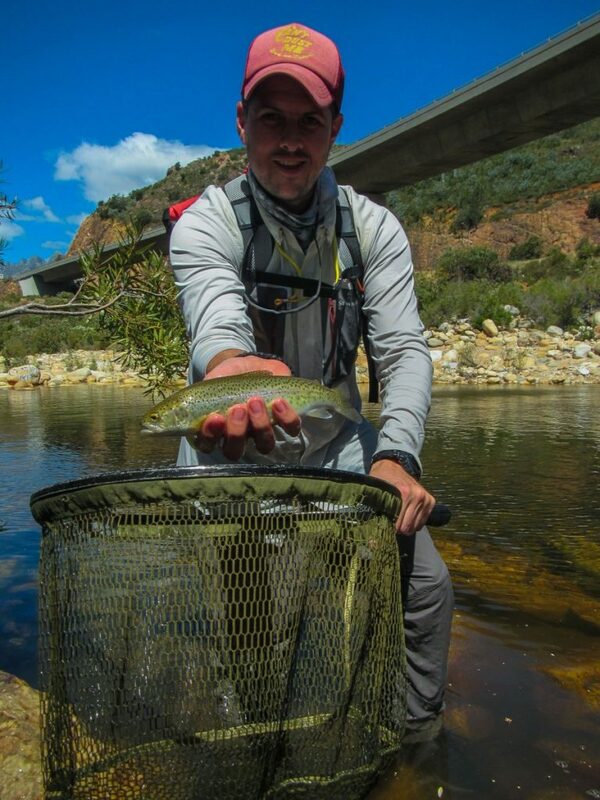 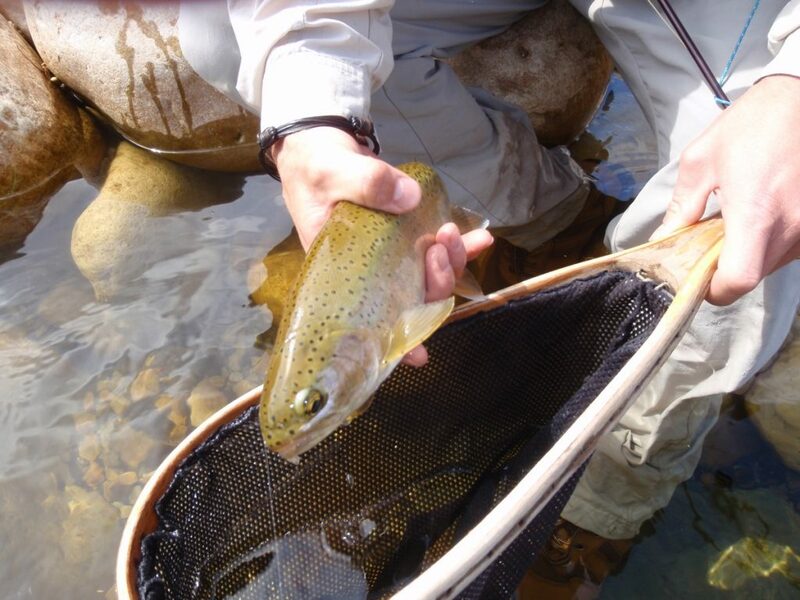 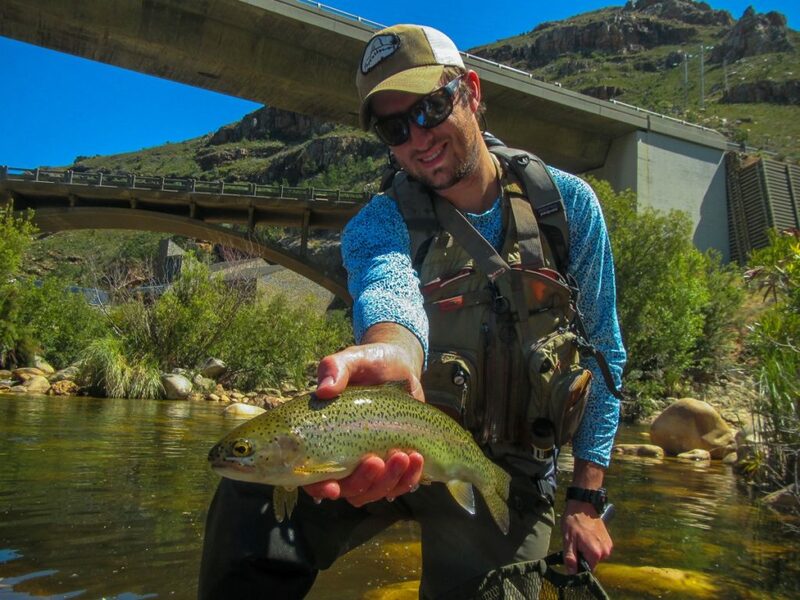 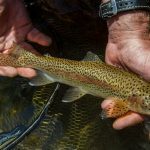 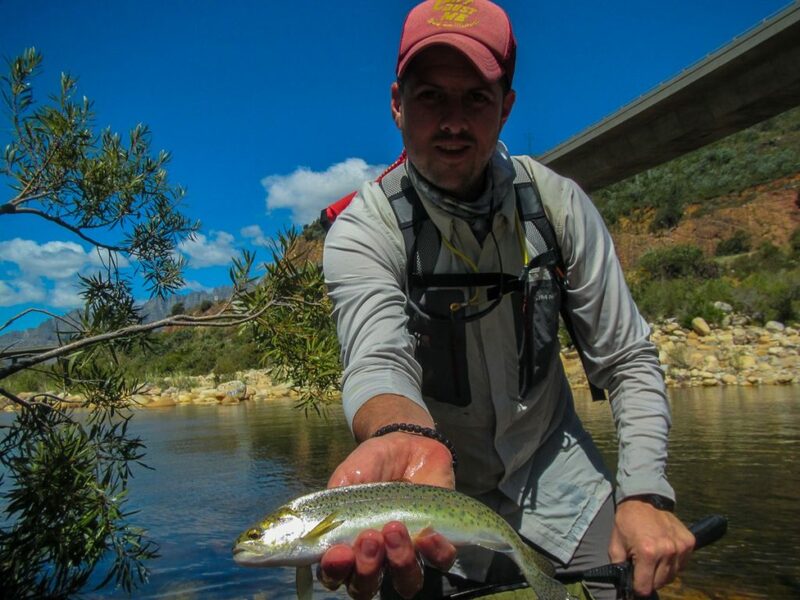 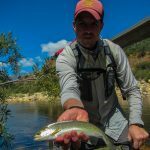 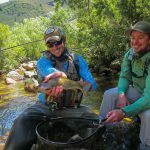 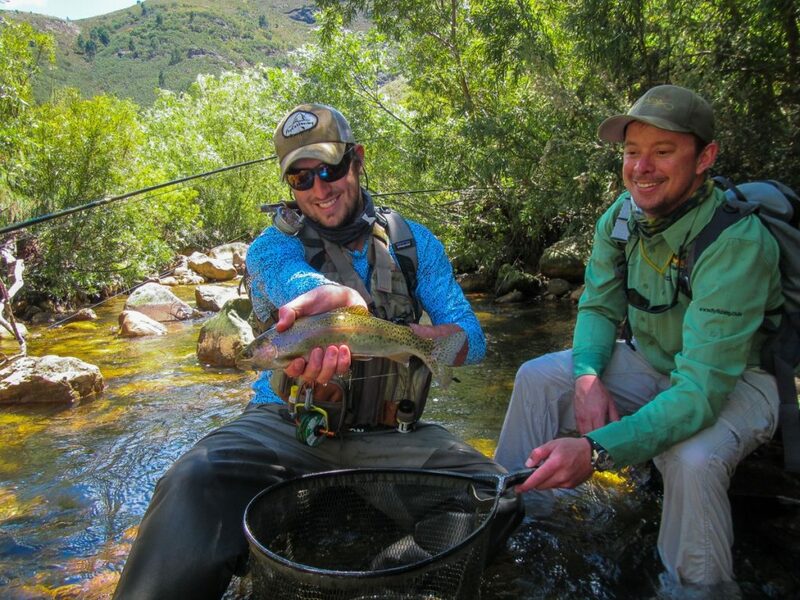 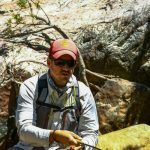 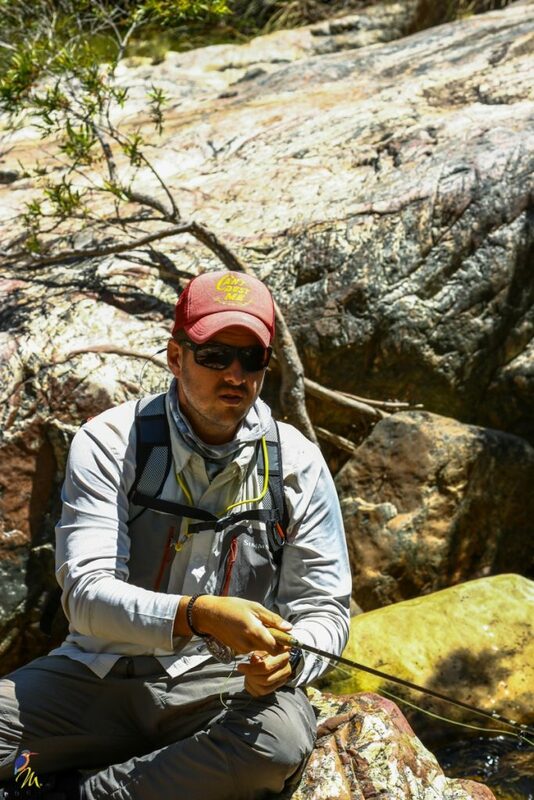 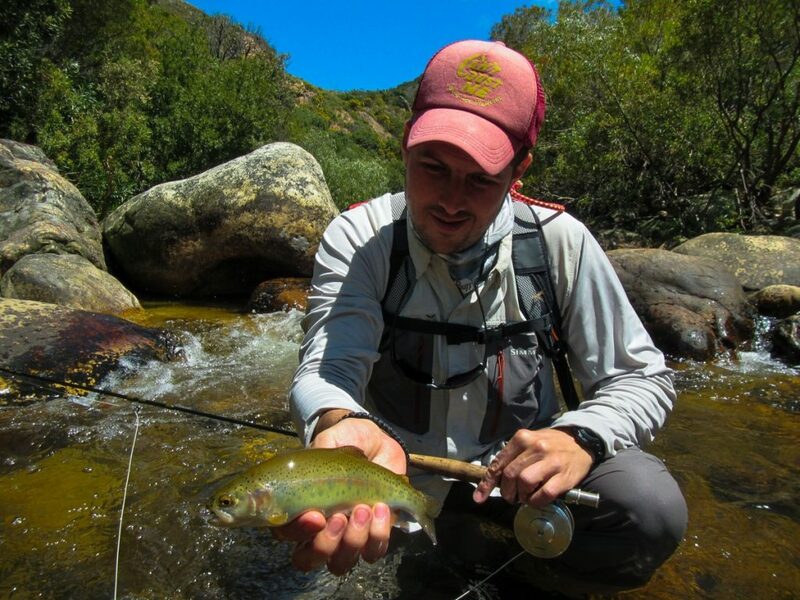 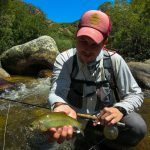 The cape streams are famous for being a fantastic dry fly fishery where the average size of fish is up there with the best in terms of local, wild river fish. 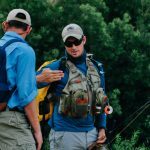 Your guide’s trained eyes will help with spotting the fish in prime lies and he will ensure you’re using the right fly for each situation. 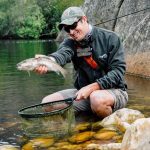 The fishable rivers range from wide laminar flowing stretches where bigger fish often hold and require a stealthy approach, long leaders and precision casting. 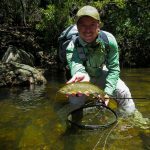 On the other hand, there are sections that are extremely small and tight, where roll or bow and arrow casts are the names of the game. 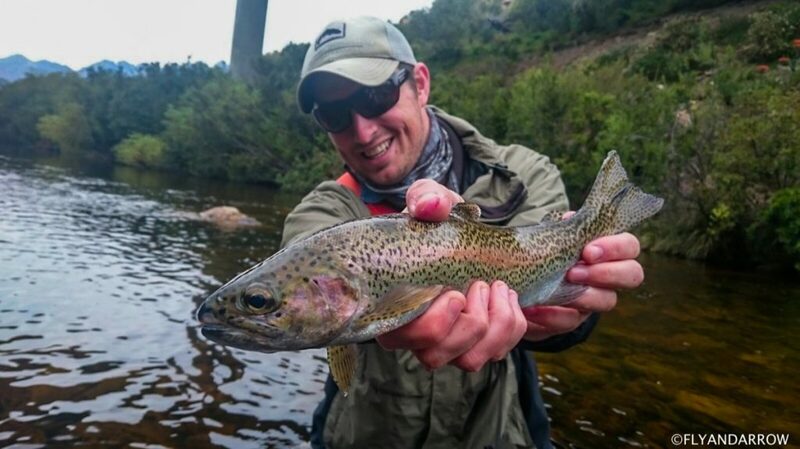 These fish are often not very selective and can provide a really fun day on the water! 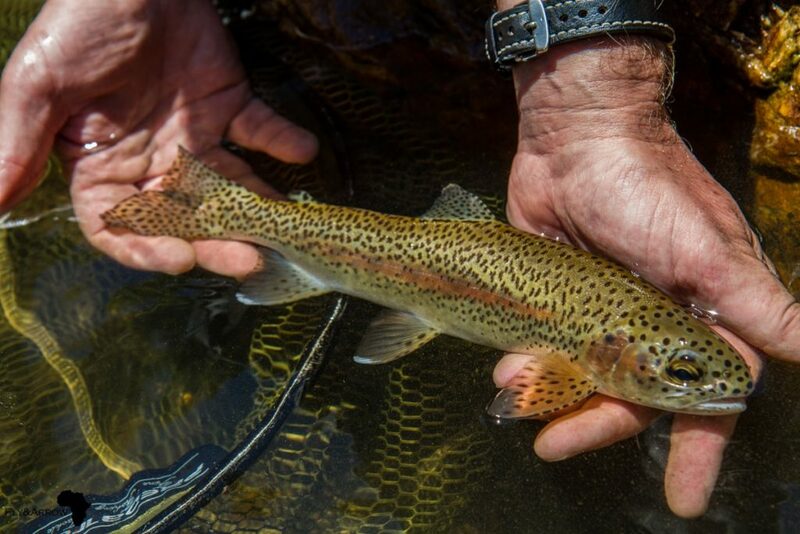 There are, however, the odd days in the season when low-pressure systems roll in and fishing nymphs and small streamers are the way to go. 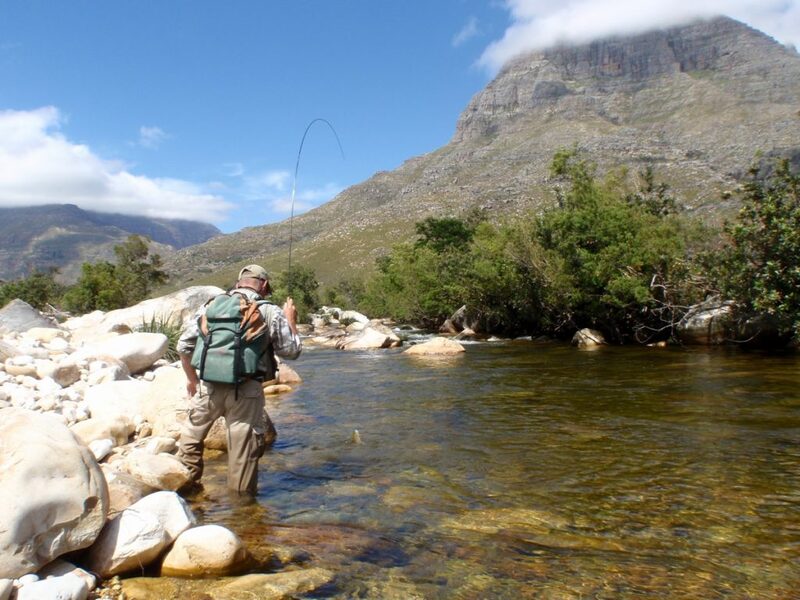 Every beat on the Elandspad, Smalblaar and Holsloot Rivers is unique in their own special way and this will dictate how one goes about fishing the beat. 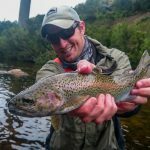 However, all beats do require slow and careful wading as 90% of the fish will be sight fished thus making a pair of high quality polarized glasses a necessity. 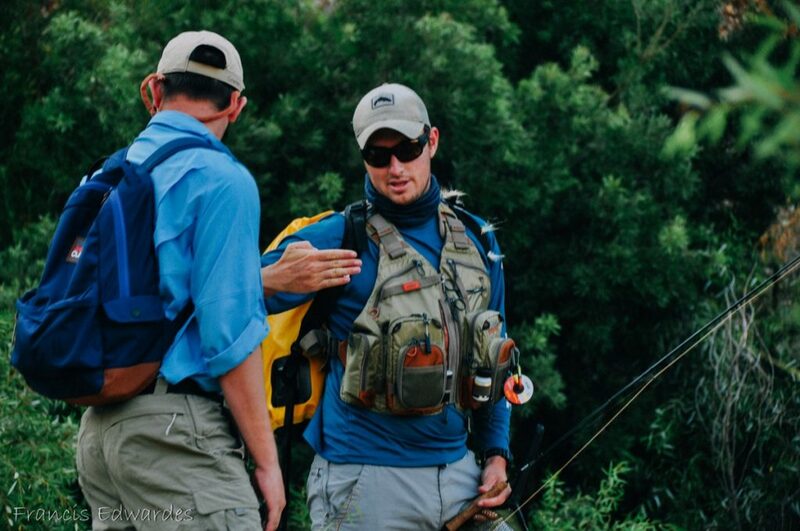 Once a fish has been sighted by either the angler or guide, a plan will be made in order to get the fish to eat. 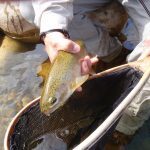 This can mean watching the fish for a while to determine what he is feeding on and what the best approach will be to get the fish hooked. 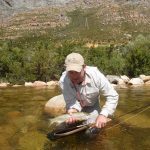 The fish will then be covered by the angler with the chosen fly and leader set-up and if it doesn’t work the fly will be changed and one can try again. 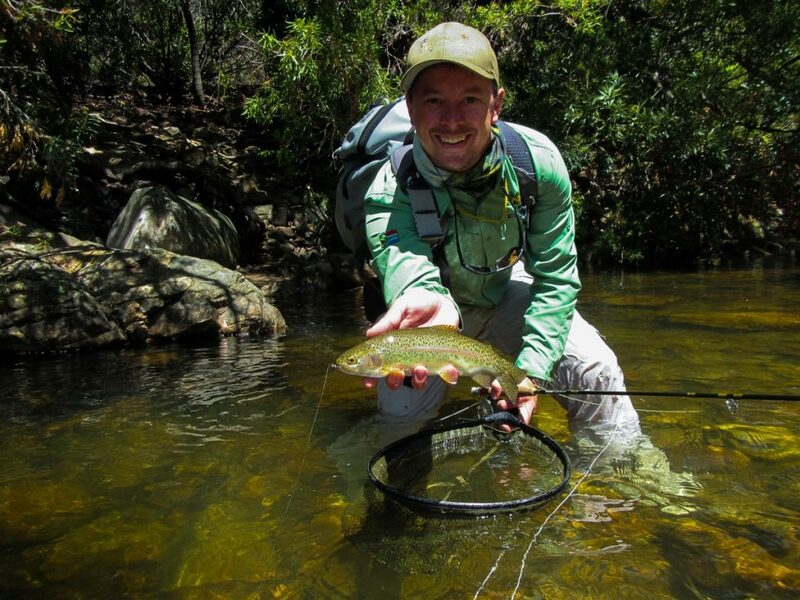 This can go on for ages especially on the better sized fish that are wilier than the rest. 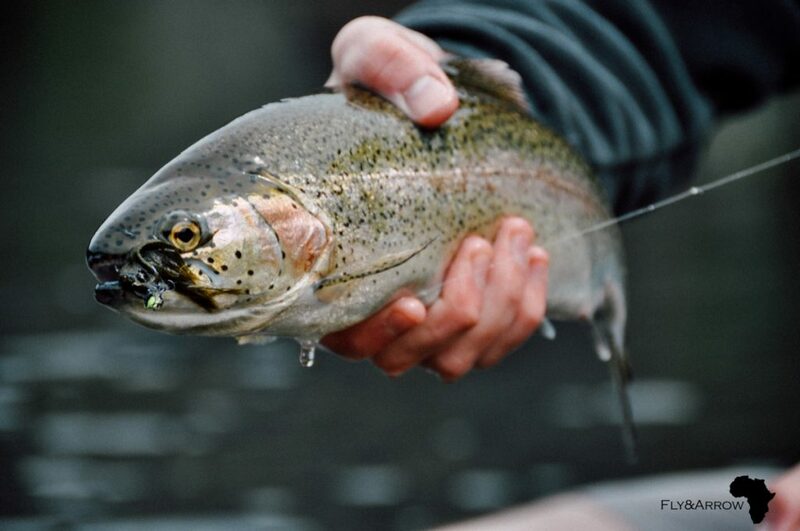 This can be frustrating at times but getting a fish to eat after numerous fly changes is very rewarding! 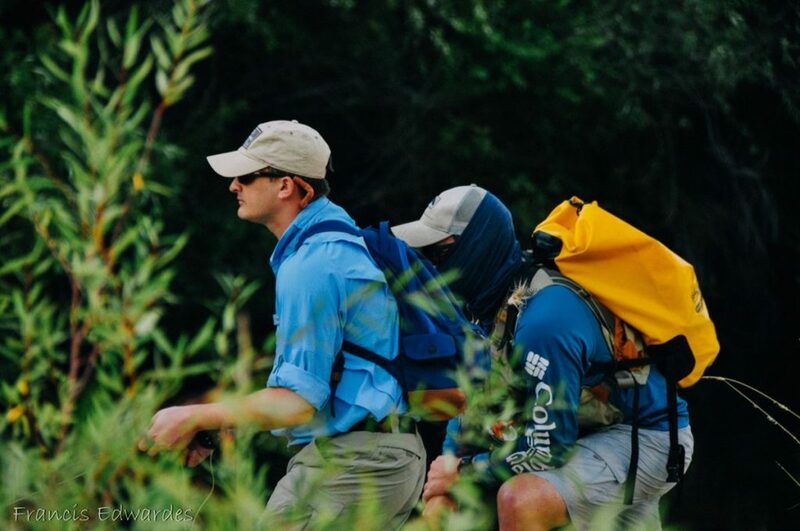 Only one angler will fish at a time and will be shoulder to shoulder with the guide in the river, the other angler will watch from behind and try to learn from his fishing partners fortunes or mistakes! 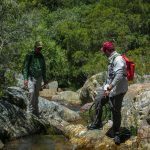 While this is world class walk and stalk sight fishery, it requires quite a bit of hiking over rough terrain, rock hopping and bush bashing. 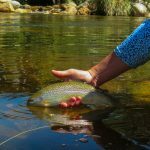 Casting small dries accurately, surrounded by overhanging vegetation and a heaving downstream mountain wind can be challenging to say the very least! 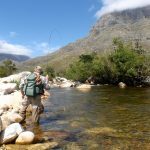 A good fitness level and agility will be of huge help, great river skills including turning over long fine leaders and great line control will put you firmly in the driving seat. 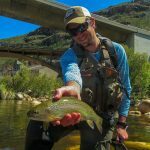 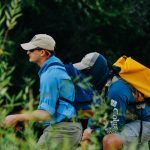 HOWEVER, if you are not a 9 out of 10 on these requirements have no fear, you will have an awesome day in splendid scenery, learn a ton of new skills from an experienced professional guide, see some beautiful fish and love every minute of it!